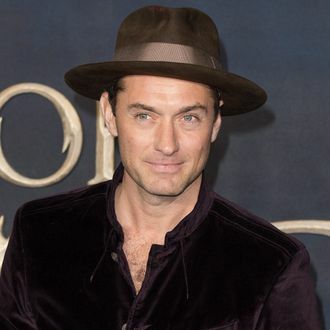 In an interview with the New York Times to promote Fantastic Beasts: The Crimes of Grindelwald, Jude Law was asked about that Woody Allen movie he made that got shelved by Amazon. “It’s a terrible shame,” said Law. “I’d love to see it. People worked really hard and put a lot in, obviously himself included.” After the accusations of sexual misconduct against Allen by his daughter, Dylan Farrow, resurfaced, the studio decided to hold A Rainy Day in New York indefinitely, and many actors who worked with the director said they wouldn’t do so again. Timothée Chalamet even said he would donate his salary from the movie to charity.